TRON WEEKLY JOURNAL - Did you know that the internet has become something commonplace and can even be said to be an addition to the primary needs of around 4.2 billion people in all corners of the world. This is because almost all content that was traditionally used using print and electronic media (television) is becoming obsolete. and switch to using the internet as a presenter of all kinds of content from various fields. This is one reason the internet makes it easy for everyone to be able to access information quickly and scalably its distribution can reach every corner in various parts of the world in an instant. Moreover, the term "Internet of Things" which can be interpreted as using the internet we can do anything such as searching for information, seeing cctv camera catches at home from afar, adjusting the temperature of the air conditioner before you get home and many other things. this technological progress has made many people want to massively adopt this technology. 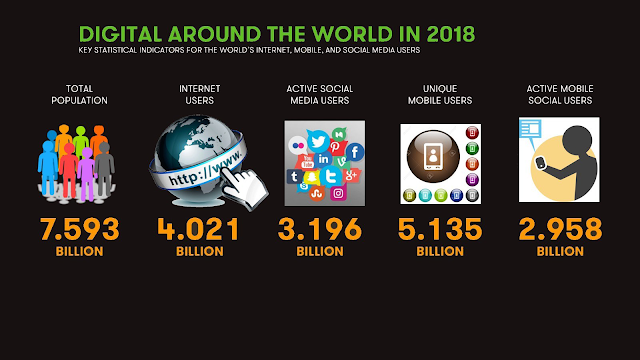 In addition, there are sophisticated mobile devices that can support accessing the internet at affordable prices which can make mass adoption quickly. See the picture below as a breakdown of developments in internet technology adoption. All the information above will be related to a company that is holding an ICO which we will discuss this time, namely TRON WEEKLY JOURNAL. Their focus will be in the form of presenting digital content taken from various sources and can be done by anyone. More fully, let's discuss it together. 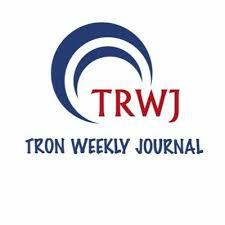 What is TRON WEEKLY JOURNAL. They offer a decentralized platform with a free digital content presentation system and allows distribution and distribution of content at a lower cost. Here, Tron wants to provide an opportunity and fair appreciation to all content creators who contribute to their platform later. Like marketers, production houses and advertisers. Moreover, Tron is trying to be a platform that will break the barrier that complicates the relationship between the creator and the last user directly. This has been done by a number of large companies that provide platforms similar to instead giving commissions but limiting the content creators' freedom. This Tron platform appreciates and respects the content of your work. Unlike other platforms that monopolize your content, Tron gives you the freedom to share your content with anyone, anywhere, anytime, while your content is indeed original and truly - your own work. Of course with important notes Tron will compensate for any content that you share. Simply put, Tron wants to solve the problem of monopoly on content that you have been making and you upload it on other platforms, which in the end you are forbidden to upload it to other places or platforms. In addition, Tron will provide opportunities as broadly as possible to anyone who is interested in becoming their contributor by not discriminating. The rest of the features and services that are available on their platform will be discussed later. Thank you for visiting, hopefully it's useful.